At OET, robotic technologies are at the heart of our processes and applications, allowing us to cut our complex procedures which are liable to malfunctions and costly maintenance work. As an official integration partner in the government-backed 'Start PME' robotic programme, we deliver turnkey robotic solutions for all sectors of industry. Guided by your demands, and with the utmost respect for the confidentiality of your production processes, our teams work with total transparency to deliver intelligent solutions that offer clear technical and economic benefits. In the course of our site visits, we gather the input data required to ensure the success of your project and meet our stated performance targets. On the basis of this analysis, we use our 3D simulation software to study your procedures and model the work flows and feasibility of robotic installations with the help of the suppliers' own specialist software. 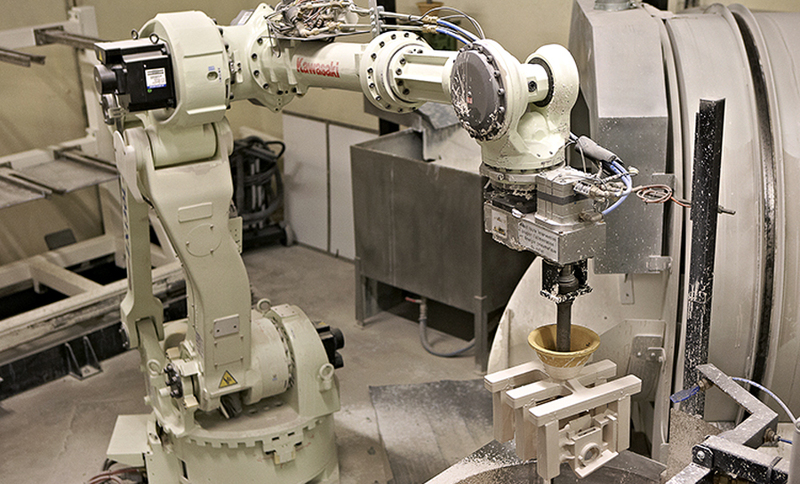 Robot manufacturers: ABB, Denso, Fanuc, Kawasaki, Kuka, Staublï, etc.